We are very excited to announce the launch of a new and unique spelling app called ‘LetterSchool – Spelling Words!’ on the 24th of October! ‘LetterSchool – Spelling Words!’ is released on both the App Store and Google Play Store in English. 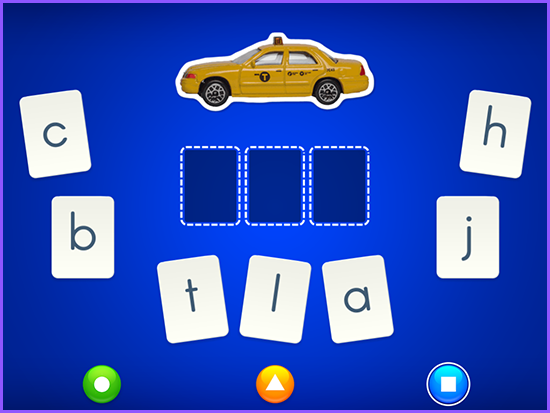 Thus, the app aims at teaching mainly children from ages 2-6 how to develop their spelling skills by featuring various interactive elements, animations and sound effects, which create a visually stimulating and fun learning environment. Indeed, ‘LetterSchool – Spelling Words!’ offers an educational journey into the formation of words, syllables, and sounds, allowing kids to explore the meaning behind word patterns in a clear, easy, and exciting manner! In this way, the application’s core benefits are its use of interactive learning combined with extremely entertaining content and a compelling game mode, since LetterSchool’s mission is to create access to state-of-the-art educational technology with a high fun factor. Hence, ‘LetterSchool – Spelling Words!’ will allow kids the chance to understand the variations of letters and discover the formation and patterns of words and sounds. “At LetterSchool we take pride in giving children the tools and resources needed for personal development and continuous growth.” – LetterSchool CEO Sjoerd Huitema. Indeed, we trust ‘LetterSchool – Spelling Words!’ will help improve not only children’s literacy, but also reinvent the process of acquiring spelling skills. Therefore, the app provides an engaging and intuitive learning experience, and will transform kids into the next spelling savants of our generation! WATCH A PROMO CLIP HERE!